Google on Monday said that its "Files Go" app is now available in the Odia language. 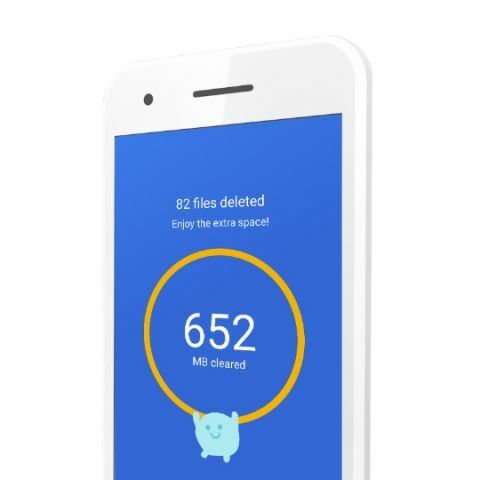 Files Go is a storage manager that helps users free up space on their phones, find files faster and shares them offline with others. "Smartphone users with data storage capacity of as low as 4GB often struggle to keep on top of the storage space on their phones and are constantly having to choose between what to keep or delete," Josh Woodword, Group Product Manager, Next Billion Users, Google, said in a statement. "Since its launch, an average user in India is saving 1GB of space and has shared many files with others without using data," Woodword added. The app was launched with support for Indian languages, including Hindi, Bengali, Gujarati, Kannada, Marathi, Malayalam, Punjabi, Tamil, Telugu and Urdu, Google is adding support for more Indian languages to help users who speak different languages. Launched in December in 2017, the app works on all phones running Android 5.0 (Lollipop) and higher. The app comes with an intelligent feature of automatically recognising unused apps, large files, duplicate files or low-resolution videos and memes detected using Google's latest mobile vision technology and offers users personalised suggestions about which files to delete.